Designed for commercial hospitality environments. Ideal for use in cafes, restaurants and drink serving areas. 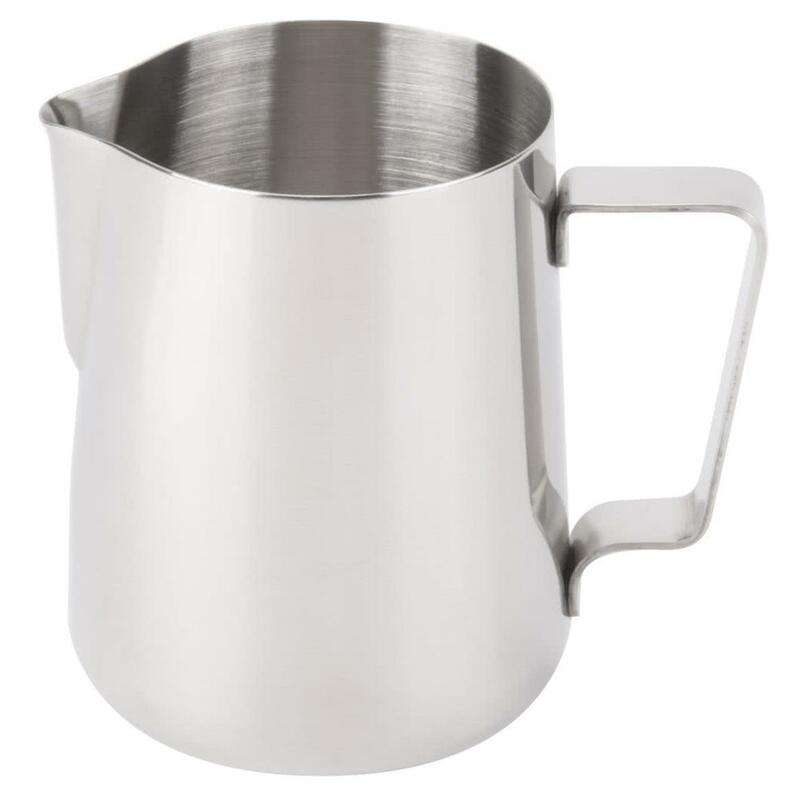 We carry a commercial grade Milk Jugs have many unique features including an accurate pouring spout, strong handle and sturdy flat base. Please refer to product page for specific information. Firstly, all of our Tablewares help to meet Australia Food Safety Standards. Secondly, our quality commercial grade frothing jugs are manufactured by KH (Ken Hands). Refer to product page for further information on carton quantity. Above all, the quality items will not let you down! Click here to contact us for more information on our products. Your online hospitality industry supplier for Hotels, Restaurants, Schools, Cafes, Clubs and Aged Care Homes to buy your needs online and save.